Illustrations that show entire casts of characters are the best, and the grand scale of the scene depicted here lends a suitably dramatic tone that accurately reflects the genre (if not the actual writing). The neutral font is spiced up with interesting shadow-masking effects, letting the beautiful turmoil of the art shine. Well, this was a bizarre read. Shipwreck Island starts out promisingly, with the mostly authentic voices of Sarah and Marco alternating chapters. The built-in tension in their family structure helps move the pace along initially, even though there's no sign of a story arc. But then it becomes clear that this is the book's major flaw. The action steadily rises, but Bodeen fails to introduce any other stakes, goals or personal engagement beyond life-or-death. All the characters want is to get back to the mainland alive, and dropping hint after fantastical hint regarding the truth of the island ups the tension but not necessarily the reader's engagement. Simply put, the draw of finding out what's going on is not enough when the characters are pratically passive in the actual discovering. In fact, Nacho is perhaps the only character who is original enough to enliven the story. His interactions with Sarah and Marco not only go a long way toward rounding out our main characters (more than their actual points-of-view do! ), they make him fascinating enough to warrant being a protagonist himself. 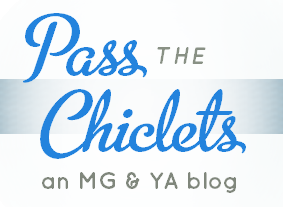 The parents are bland at best, and with such a small cast of characters, it's no wonder this book is startlingly short. 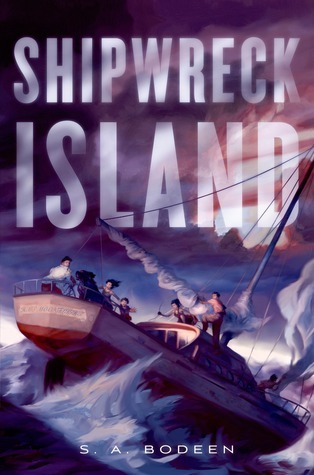 The end is quite, quite abrupt (all the more so for the attempt at a Dramatic Plot Twist by adding a new character), and with the island's secret as yet unrevealed, Shipwreck Island is neither a very good standalone nor a solid first book in the series. Ethnic balance: 3 out of 5. Marco, Nacho and their mother are presumably Latin@ (though it's never specified), and the new character has "dark" skin.